Home › Adhesive and Sealants › What Is The Best Brand of Silicone Sealant? Dortech has been installing windows, doors and curtain walling for over 19 years now and time and time again the question comes up of which silicone to use and which silicone is the best from the myriad of different types of silicone available on the market. 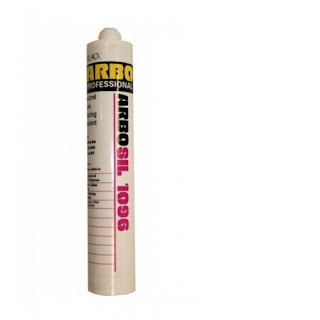 We use literally 100′s of tubes every day and have experimented with products from Dow Corning, Everbuild and Adshead Ratcliffe and I can honestly say we have never experienced an issue when using ARBO SIL products. Surfaces need to be clean, dry, sound and free from contamination. Where gaps are 6mm or wider, insert a joint backer of closed cell Polyethylene foam, approximately 25% oversized, allowing for a seal depth of at least 10mm. Apply the silicone to fill the joint and tool to a satisfactory finish. Where gaps are less than 6mm wide, apply a bead of silicone and tool to form a triangular fillet, achieving a ‘bite’ of at least 6mm onto non porous surfaces ( PPC aluminium etc) and 10mm onto porous surfaces (brickwork etc. * Some surfaces should be primed with a Primer to promote good long term adhesion; brickwork and concrete for example should be primed with Primer 2650. Powder coated surfaces should not be primed. We have now developed a direct relationship with Adshead Ratcliffe, who are a UK based company and also manufacture their products in England, which is great in respect to delivery and reliability etc. To make their products more accessible to our customers, they are now also available on www.dortechdirect.co.uk. Our preference if you want a really high quality silicone for construction including glass wall assemblies, perimeter seals, on curtain walling, perimeter sealing of polyester powder coated frames and glazing of windows in swimming pool buildings; would be to use ARBOSIL 1096. 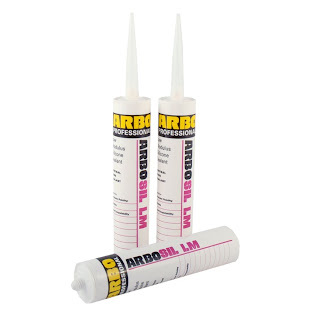 For; Joints in translucent roofing sheets, MVP Glazing & Heel Bead Methods of Glazing Double Glazed Units, Remedial Glazing and Perimeter Sealing Of PVCu Frames the cheaper ARBO LM product will suffice. ‹ Why Does Glass Break?